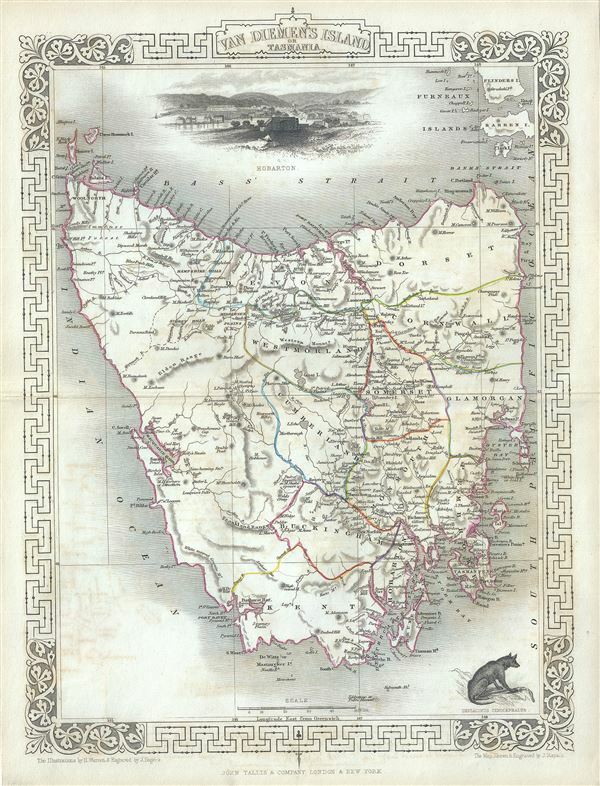 This map includes illustrations by H. Warren of Hobart Town, a Tasmania dog and the residence of the Van Diemen Land Company's Agent. The whole has the highly decorative presentation and elaborate border distinctive of Tallis maps. This map was issued as part of the 1851 edition of John Tallis and Company's The Illustrated Atlas, And Modern History of the World.